Awarded Ph.D. by Purdue University. The culmination -- Getting hooded by Prof. Vijay Raghunathan. One of the most memorable moments in my life. 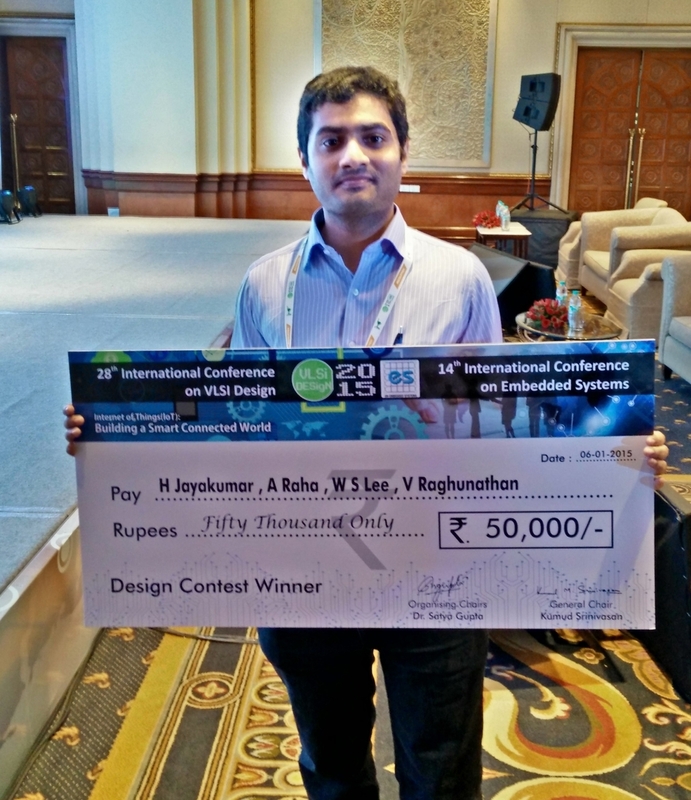 Our design, QUBE, won the Design Contest Award at the 28th International Conference on VLSI Design and 14th International Conference on Embedded Systems. Related news can be found here. The QUBE is a modular embedded hardware platform that enables computing across power cycles in transiently powered IoT systems by saving the program state in-situ using an emerging non-volatile memory (FRAM). The modular stack-based architecture facilitates easy customizability and expansion while accelerating the design, debug, and prototyping phases. Email me for more details on QUBE!